Happy National Ice Cream Day!! What better way to "cele" than with an ice cream sandwich for #150BunsofSummer! 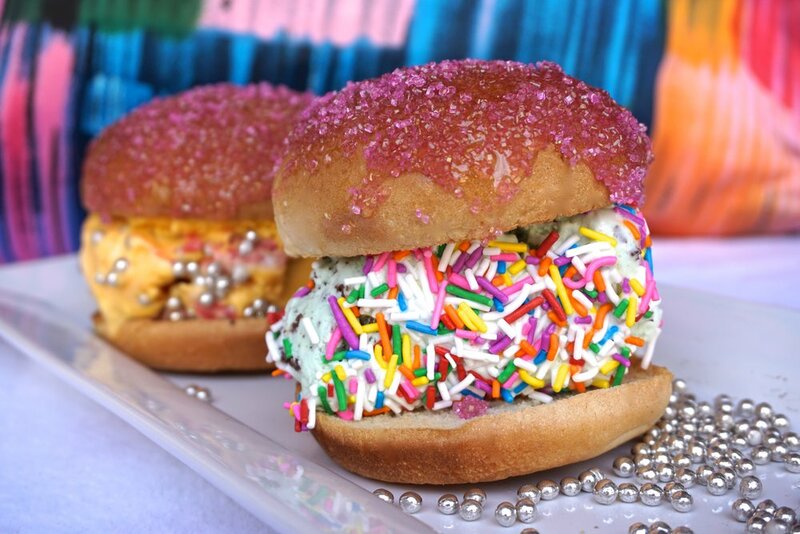 Unicorns are still in fashion, so it's time to fashion these mystical creatures into the most mystical ice cream sammy of all. How do we do it? With toasted, honey-rolled buns, we dip them in sprinkles and watch the magic unfold! Roll eight balls of ice cream and set in the freezer for 10 minutes. Toast Wonder™ White Hamburger Buns in oven until warm, but not too crispy. Brush bun tops with honey. Pour coloured sugar on a plate and roll honey-covered side of bun in the sugar. Remove ice cream balls from freezer; pour rainbow sprinkles on a plate and roll ice cream balls in sprinkles until they’re covered. To serve, sandwich the ice cream ball between Wonder™ buns.